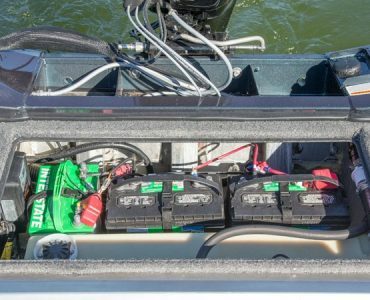 Outside of your electronics and trolling motor, your boat’s batteries are likely the most expensive items in your boat. 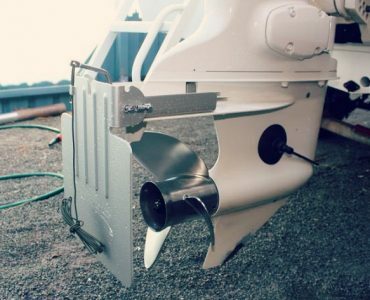 You invest good money and rely on your batteries to perform each time you hit the water, it makes sense to know how to maintain them to get many years of use. Batteries fail prematurely for a variety of reasons, many of which are preventable by practicing good battery maintenance. Failing to do so results in hundreds of wasted dollars spent replacing 1 to 4 marine batteries no your boat. 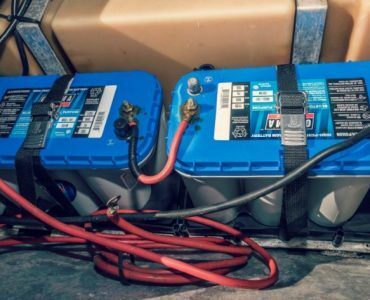 Read and understand these marine battery tips to get top performance and long life from your lead acid and AGM marine batteries. How Long do Marine Batteries Last? 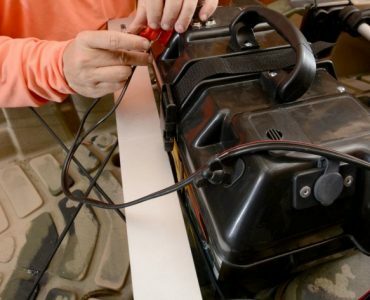 Here are the most common modes of failure for marine batteries, and what you can do to avoid them. Although marine batteries are designed to stand up to rugged use, they are more susceptible to temperature fluctuations that many owners may realize. During extremely hot temperatures, batteries tend to expand and push out energy at a higher than normal rate. High temperatures can result in electrolyte loss and increased discharge. In frigid temperatures, the opposite tends to be true. Cold temperatures force the battery to work harder and the result may be a lower discharge rate. Either way, your unit suffers an undue strain that may shorten its lifespan. What to Do: Keep our marine battery in a controlled environment whenever possible. If your boat is in dry dock during extreme weather, make sure the battery is housed in a moderate temperature environment. Marine batteries may appear to be a universal type of commercial product, but they require very specific charging profiles and maintenance. One of the areas that some marine battery owners inadvertently damage the products is during that recharging phase. Each battery has its own recharging specifications. Putting yours on overly high voltage for a quick charge is likely to cause an early end to the service life. High voltages cause sulfation, which is when the internal plates to displace the elements that make them uniquely powerful. High voltages also speed up corrosion and faster discharge rates. What to Do: Follow the charging guidelines provided by the manufacturer. Adhere to the required voltage and do not overcharge the unit. 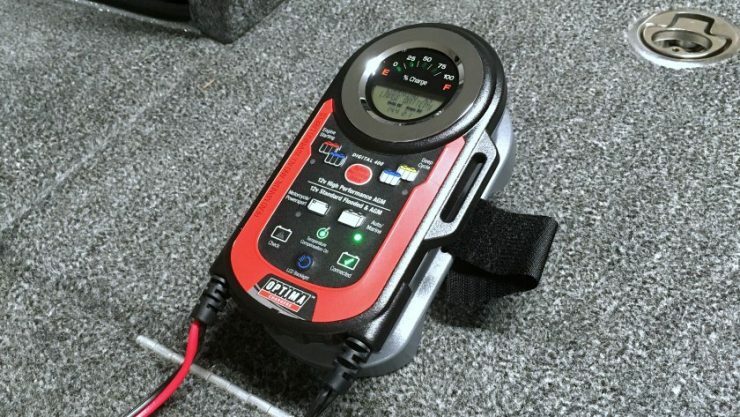 Installing a quality onboard charger is best practice for getting the longest service life and best performance from flooded and AGM marine batteries alike. While counterintuitive, it is not uncommon for flooded batteries to falter earlier than expected due to underuse. When lead acid batteries discharge less than 30 percent of their capacity, acid tends to accumulate in the form of sulfate crystals on the lead plates. This buildup can significantly inhibit the unit’s performance. What may be even more strange is that the battery shows no noticeable effects and can function well enough until untimely needs early replacement. What to Do: Work with a marine charger that has an equalization option that ramps up the voltage at least once per year. This will help disperse sulfate crystal buildup and improve battery life. Some may remember when storing a battery on a garage floor spelled ruin. While those days are over, storage remains a key issue to long-term battery health. Storing batteries that are not clean can lead to unnecessary corrosion. Storing them when they are not fully charged can cause them to lose the ability to fully recharge later. As noted above, the temperature can play a role in battery life. If you live in a cold climate, store your batteries indoors, hooked up to a battery minder to keep them topped off. What to Do: When storing a battery over several months, be certain that it has been adequately cleaned and maintains a full charge. Store marine batteries in dry, temperature-controlled environments for best results come springtime. Many batteries may appear similar, but they are not necessarily designed for interchangeable use. Marine batteries fall into several applications because the demands placed on them differ greatly. Using a battery for general purposes or in the wrong application can have a negative impact on its lifespan. A deep cycle vs cranking battery for trolling motors, for example, are worlds apart. 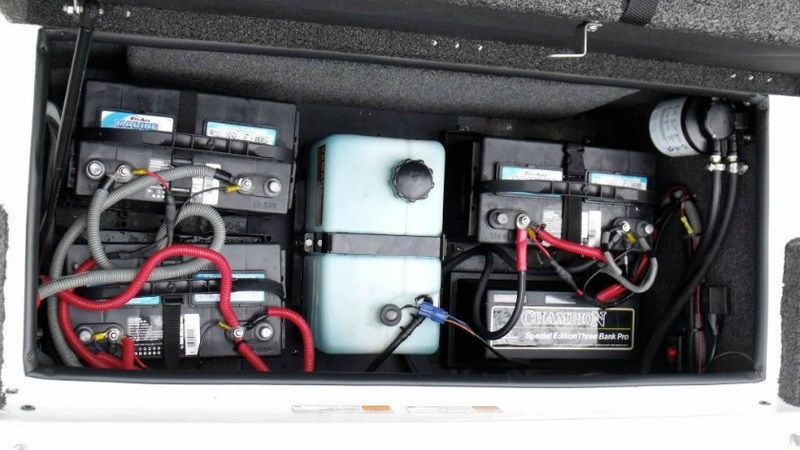 What to Do: When choosing a marine battery, it’s important to set up a new boating system with the best battery for each application. Replace all the batteries at one time so they are matched, for best performance. Do not mix AGM and flooded batteries in a parallel configuration, such as a trolling motor. One sneaky mode of failure is poor installation, which can lead to acid leaks, fire, and even a battery explosion. In a less frightening sense, things such as loose cables or poorly maintained posts can reduce a batteries life expectancy. What to Do: Mount the batteries in a properly sized battery tray (check your Group Size and compare to the battery tray) and use straps to prevent sliding around in the compartment. Use cable boots and nuts to secure the power leads to the battery terminals. Now that we’ve covered all the ways batteries can fail, it’s helpful to review things you can do to maintain your battery performance. These are all simple tips that take just a few minutes but can lead to years of flawless performance in your boat. Use the Right Onboard Battery Charger: Each marine battery has certain chargers that it is paired with by the manufacturer. By using an approved charger, you will avoid the risk of damaging the unit. Recharge Immediately After Each Use: It’s important to recharge your battery after a day on the water. Many do not enjoy the benefit of an alternator constantly keeping them at optimal charge levels. Keep Terminals Clean of Corrosion: The simplest thing you can do to maintain a battery is to clean away any corrosion with a solution of thick baking soda and water. Use Nylock Nuts to Secure Power Wires: A properly secured battery system has an improved chance of avoiding or sustaining hard impacts. Maintain Water Level in Flooded Batteries: Think about lead acid batteries like you would an automobile. Without the proper amount of oil and other fluids, they break down. Distilled water is the primary fluid necessary for lead acid battery health. It’s important to maintain proper levels. Keep Batteries Topped Off Over Winter: Keep battery fluids at manufacturer levels and fully charged during winter months when they may be less active or inactive. There is no standard answer for how long your marine battery will last. Manufacturers put these products through standardized testing to determine how long a battery can continue to push out minimum energy. These tests cannot account for the rigors of real usage under less than advantageous conditions. However, the best way to maximize the life expectancy of your marine battery is to follow the guidelines and conduct proper maintenance. At a minimum, lead acid batteries should provide 2 to 3 years of regular use. With good maintenance, they could last 4 or 5 seasons. AGM batteries are similar, but with good charging habits, these can last more than 5 seasons of use. Investing in the whole system, from batteries to the charger, helps spread the cost over many fishing seasons.